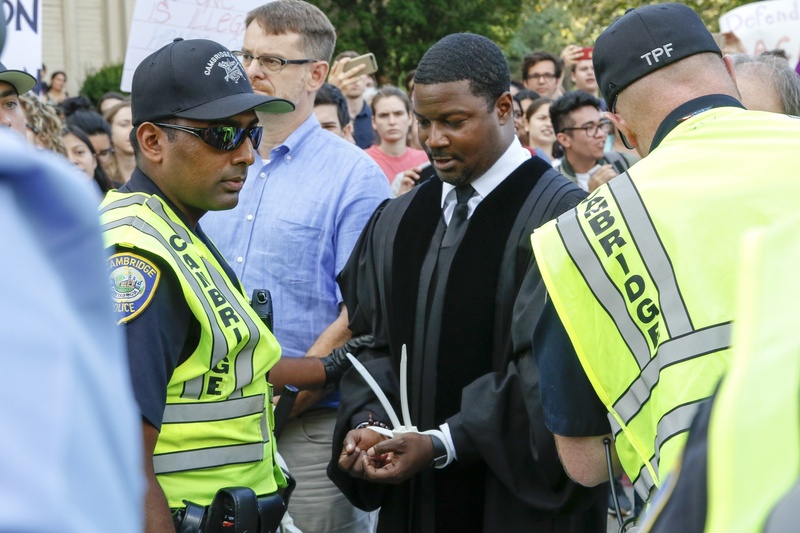 Before the arrests, several professors, one undocumented student, Massachusetts State Representative Marjorie C. Decker, and Memorial Church Minister Jonathan L. Walton spoke of the need to take action against the policy outside Massachusetts Hall to a crowd of roughly 300 students, faculty, and affiliates from five different universities. Khurana was also at the protest. Walton, who was later arrested, denounced the Trump administration in his remarks. “We are here to say to the U.S. President, to his Attorney General, and to all the insecure leaders of this nation, that no human being is illegal,” Walton said.